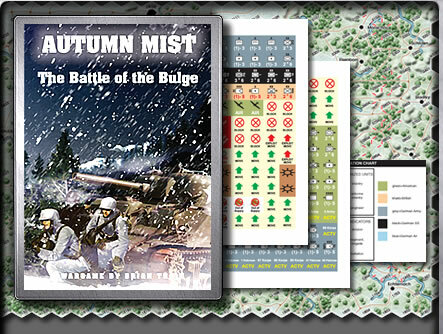 Autumn Mist: The Battle of the Bulge is a simulation game of the the German last-ditch offensive through the Ardennes forest in December 1944. The Allied player controls all American and British (UK) units. The German player controls units from the German Army, the Schutzstaffel (SS), and the Luftwaffe (German Air Force). Other products in the "Counter Strike" series. Wings of War: Watch Your Back!